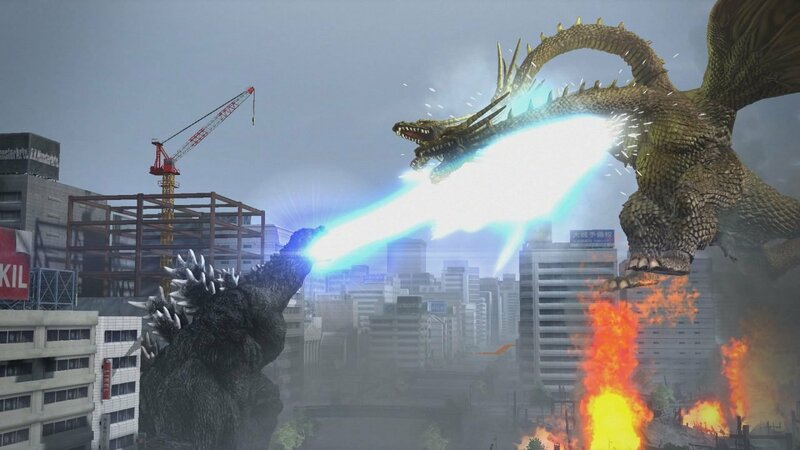 On a certain level, Godzilla should be an incredibly easy concept to translate to video games. 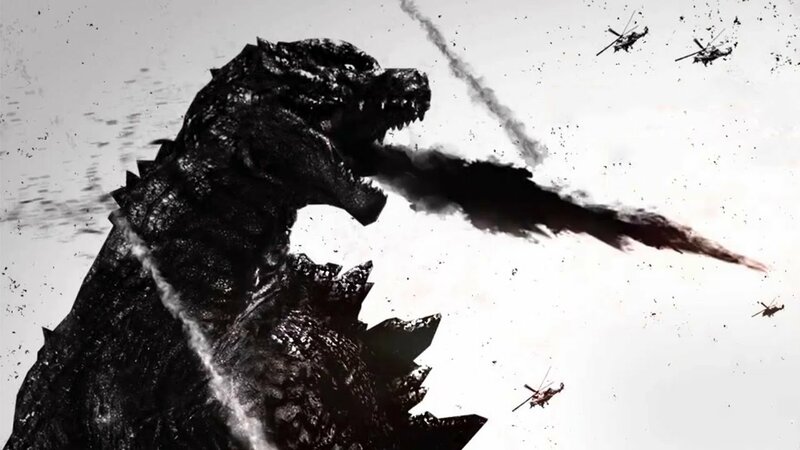 After all, who wouldn’t want to whittle away a few hours by destroying a city and fighting off giant, ridiculous kaiju as the king of the monsters? 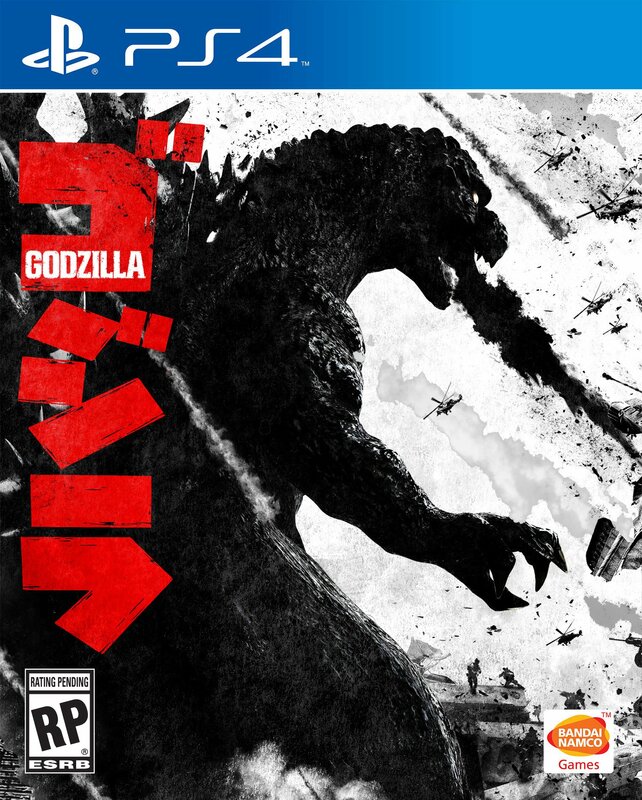 However, aside from the unofficial Godzilla classic Rampage, no one has ever quite managed to find a formula that translates the special joy of old-timey Japanese giant monster movies into the realm of videogames. This latest attempt from Atari and Bandi is filled with loving fan service and an attempt at a bizarre control scheme to give players the sense of scale associated with being Godzilla. For the first hour or so of playtime, the game tickles players with memories of their favourite Godzilla movies of the past. After that, you’ve got to deal with the horrible gameplay itself, and sadly, the novelty wears off fast. But oh-boy, what fun the game can be early on. Things kick off with a tutorial level in black and white backed by the iconic score of the 1954 classic that kicked off the career of the big green guy. For someone who adores good ol’ Godzilla, it’s pretty much impossible not to feel your face contort into a big dopey smile. Sure, the controls are a bit wonky; you have to turn with the shoulder buttons for some reason (didn’t dual analogue sticks put an end to that? ), and there are only a couple of clunky attacks available. But it looks good, sounds amazing, and the clunkiness of the controls does make you feel a bit like a big lumbering monster. At that point, I just hoped that the attack options and monster speed would improve as the game went on and I enjoyed the nostalgic magic. Unfortunately, there was to be no evolution to the controls. Nope, they are that clunky and the monsters do move that slowly throughout. It’s clear the designers were going for a fresh control approach in an attempt to impart a sense of lumbering scale, but it gets tedious rather quickly, as does the game as a whole. 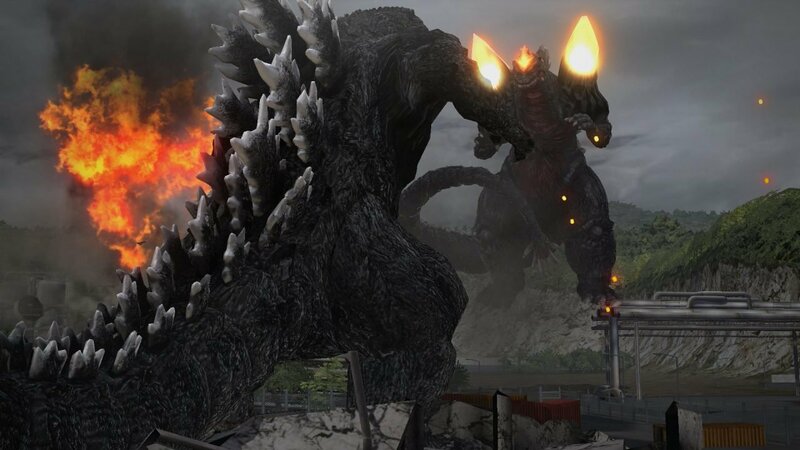 There’s a very simple formula to the main story mode; you trudge through a generic city as Godzilla, smash everything in your way, fight another monster through awkward spam attacks, destroy some important landmark, and move on. That really is it; and it’ll all be over in a few hours. There’s backtracking involved to collect items to unlock the final boss battle, as well as a vast array of playable classic kaiju, but that repetition only adds to the games tedium, rather than inspiring replay value. The story is pretty rough, but then again the Godzilla series was never exactly renowned for it’s complex narratives. In fact, the silly tale, ludicrous dialogue, and wooden voice acting only adds to the nostalgia value for Godzilla fans. 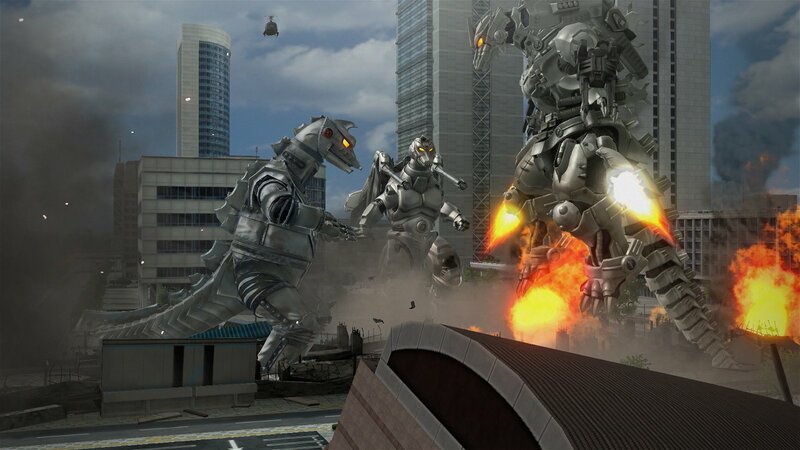 Toss in pretty well every conceivable classic Godzilla monster from Mothra and Gamera to Mechagodzilla and you’ve got a game littered with fan service that was clearly made by people who love the property. In a way, that’s what makes it so frustrating; so much of it feels right and delivers shivers of nostalgia that I constantly tried to convince myself that I was enjoying the experience more than I actually was. The designers made fantastic use of their acquired brand; they simply failed to create a compelling game to contain it. This includes the visuals. Sure, you’ll see all those monsters in HD, but the generic and repetitive cityscapes and inexplicably clean urban explosions don’t just feel like a delayed PS3 game; at times the blocky graphics look like something from the PS2 era. That’s a real shame, especially since every conceivable classic sound effect has been included. Close your eyes and it sounds like the Godzilla game of your dreams. Open them and the illusion is shattered. The story is pretty rough, but then again the Godzilla series was never exactly renowned for it’s complex narratives.